This is your very special opportunity to enjoy a show from David's 2004 sold out tour of the UK. Filmed live at Hammersmith Apollo in London, David Cassidy, multi-platinum and Award-winning recording, television and theatrical star, performs his classic hits including Cherish, Breaking Up Is Hard To Do, Daydreamer, Could It Be Forever, and one of the biggest selling records of all time, the Partridge Family mantra I Think I Love You, as well as new songs performed by David for the first time! This live concert is the consummate collection of his chart topping songs, highlighting his spectacular musical career. 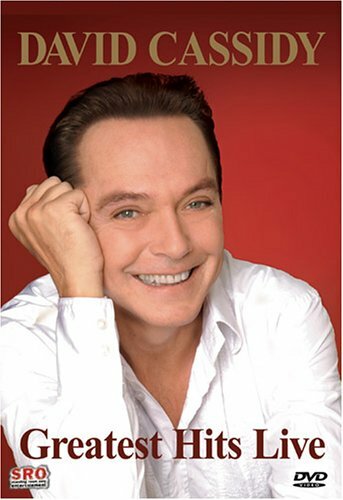 There is also exclusive never-before-seen footage of a brand new interview with David, in which he reflects on his life and career, making this a must have David Cassidy DVD. If you have any questions about this product by Kulter, contact us by completing and submitting the form below. If you are looking for a specif part number, please include it with your message.